Act fast! Microsoft's Surface Pro 6 discount pushes the price under $1,000. The excellent Surface Laptop 2 discount lives on, too. Microsoft’s “12 Days of Faves” deal ended over the weekend—so naturally, Microsoft extended the $300 discount that kicks the Surface Laptop 2 down to $799Remove non-product link, and added a Surface Pro 6 and Type Cover bundle that knocks $330 off the price, too. You’ll need to act fast on the Surface Pro 6 deal, as Microsoft has identified it as a one-day sale. Regardless, it’s a compelling deal as Microsoft has long been averse to bundling its Type Covers with the Surface Pro tablets. As a result, you’ve had to swallow an additional $130 to use the tablets as laptops. It’s worth noting that there are two Surface Pro 6 discounts in play. The first deal knocks $100 off the Core i5/8GB RAM/128GB SSD Surface Pro 6, lowering its price to $959. The second deal removes much of the premium that Microsoft charges for the black version of the Surface Pro 6. Specifically, this discount lowers the price by $330 for the Core i5/8GB/256GB model to $999. In our view, that’s the ideal value configuration of the Surface Pro 6, anyway. And, of course, both deals come with Type Covers. Both the Surface Pro 6 and the Surface Laptop 2 share much of the same hardware, including the same CPU. 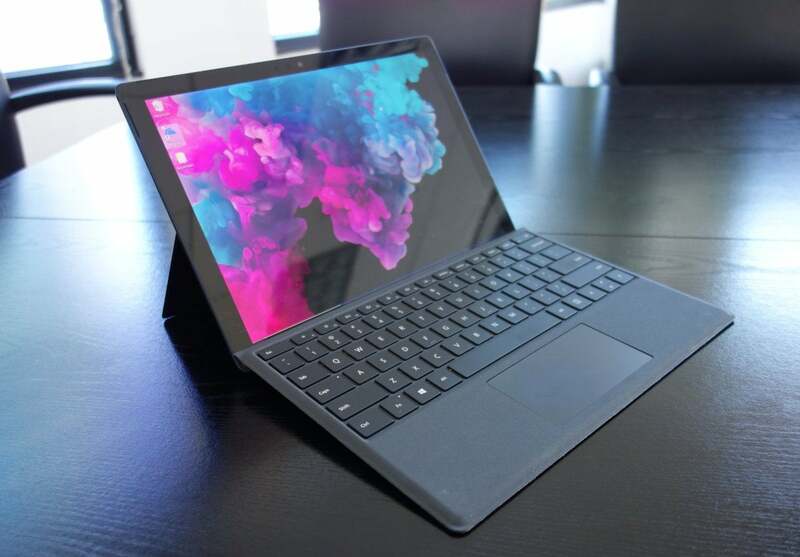 The Surface Pro 6 offers a bit more I/O functionality with an integrated microSD slot, but the Surface Laptop 2 is a sturdier machine, with much more “lappability” for times when you don’t have a desk or another surface to rest the device upon. Once again, Microsoft’s specifically identified the Surface Pro 6 as a one-day sale. And it’s not too likely that the Surface Laptop 2 deal will last much longer either. What would we do? Because we don’t use the Surface Pro 6 as much as a tablet as some do, we’d opt for the Surface Laptop 2 if we were choosing between the two. It’s worth noting that there’s still a PC deals page on Microsoft’s site, but most of the offerings look pretty picked over by now, with a number of PCs listed as out of stock.